Authentic CD player with scratch function. The scratch version of the RMP-1 is equipped with a sophisticated DSP scratch simulator that can be controlled via the two-piece, touch-sensitive jog wheel. The edge is used for searching, push-starting and braking, while the inner surface activates the sound synthesis when being touched. 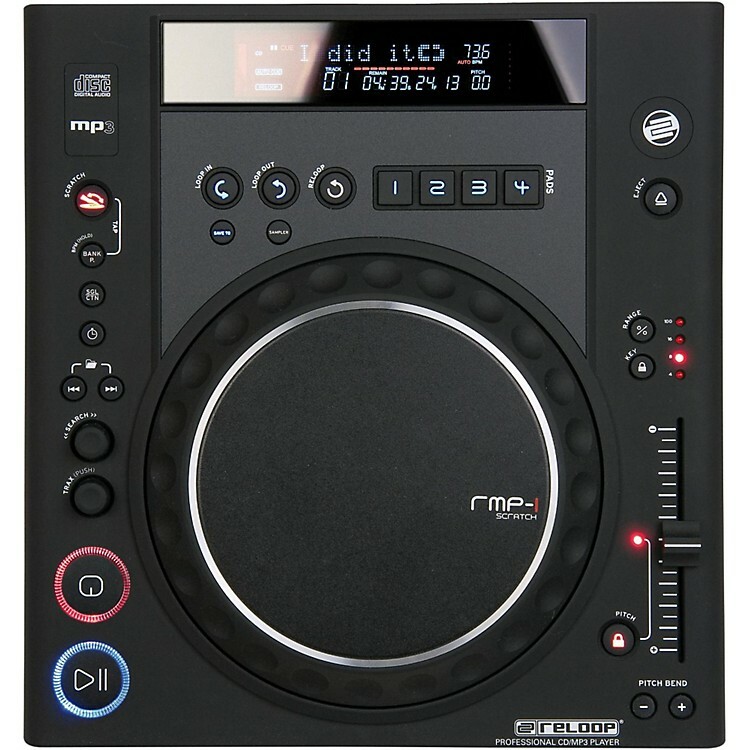 The RMP-1 Scratch MK2 provides easy, convenient access to the most important mixing functions, and the added scratch function makes it a perfect turntablist's CD player. The turntablist's CD player. Order today.